Nelle Pants is a high waisted pair of linen pants in a bright Oatmeal colour. 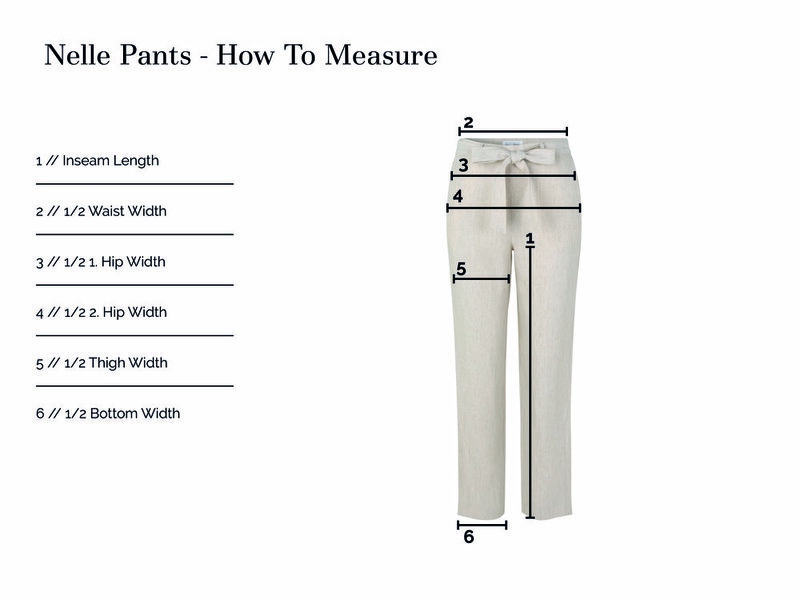 The pants are fitted at waist and has wide legs. There is an invisible zipper at side seam and a belt to style as you prefer. 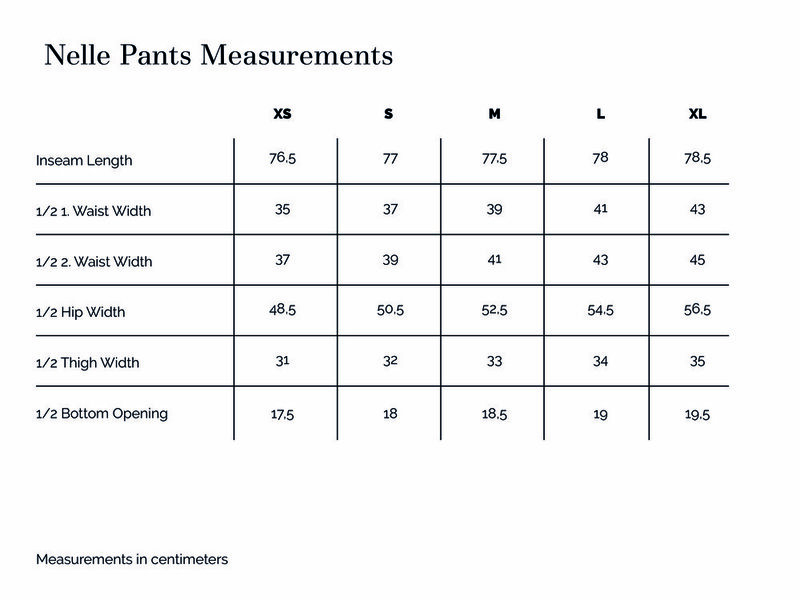 The pants has side pockets and two back paspel pockets. Trim: The pants have an invisible YKK zipper at side seam. We have chosen a YKK zipper because of it's high quality. Our Nelle Pants is sewn in Bulgaria.